India woke up to the terrible tragedy at Puttingal temple in Paravur at Kollam, Kerala, on Sunday morning. A huge fire broke out following an explosion during the fireworks display at the temple in the wee hours of Sunday. At least 102 people have been declared dead so far, and several hundreds have been admitted to hospitals in Kollam and Thiruvananthapuram. You can read the full details about the fire here. It has been established beyond doubt now that the temple authorities did not have the required permission to conduct the fireworks display. Read our story, with documents, here. So what exactly happened? Here is a crystal clear explanation. Every year, during Meenabharani celebrations, the Puttingal Temple in Paravur provides a visual treat for the devotees: a massive fireworks display. This is an old tradition. Thousands of people assemble at the temple grounds to witness the spectacle. Here’s how the fireworks look, this is how huge they are. But it is not just a fireworks display, it is also a competition. Judges would witness the fireworks and declare a winner each year. At the temple, every year, there is a fireworks face-off. Two sets of people form groups and try to outdo each other in the fireworks. The competition is to see whose fireworks are more grand, the explosions louder and the sights magnificent. 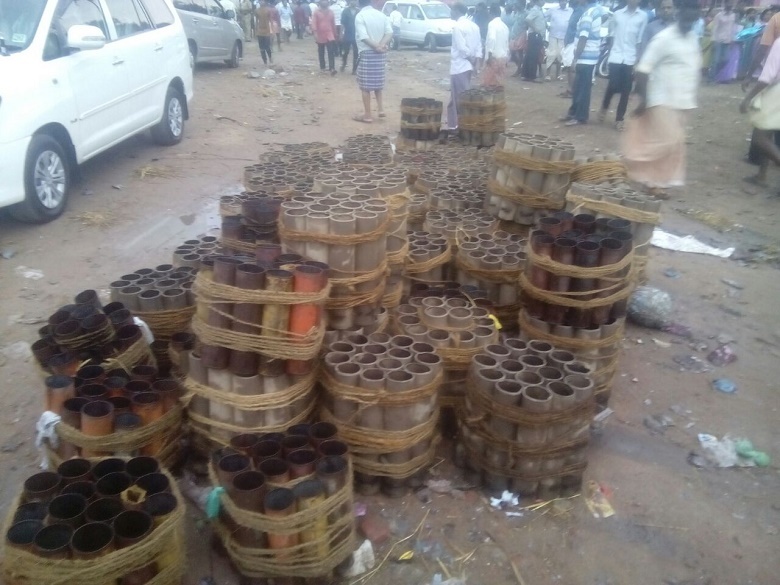 According to sources in Kollam, till Saturday afternoon, there was no clarity over whether the fireworks competition will happen since permission had been denied. The Superintendent of Police, Kollam told the media that despite the ADM's refusal, the temple committee informed the police that they had sought "oral permission". The SP said that the festival went on in spite of the police asking them not to. The Kerala government has promised an investigation to determine the cause of the incident. Sometime between 3AM and 3 30AM, just few minutes before the fireworks display was to end, one of the fireworks, called “amittu”, which was supposed to explode in the air and fizzle out, instead fell on the ground, and the sparks flew around causing a fire. This fire then spread to 12 huge “amittus” which were kept nearby, on the shed made of concrete. When those 12 fireworks caught fire, there was a huge explosion, which could be heard hundreds of meters away. As soon as the explosion happened, people panicked and did not know what to do. Even as people started trying to control the fire and rescue the injured, the shed on which the explosives were kept collapsed. This collapse of concrete on people after the explosion, worsened the tragedy. These documents show Kerala temple did not have permission for fireworks, how did it go on?